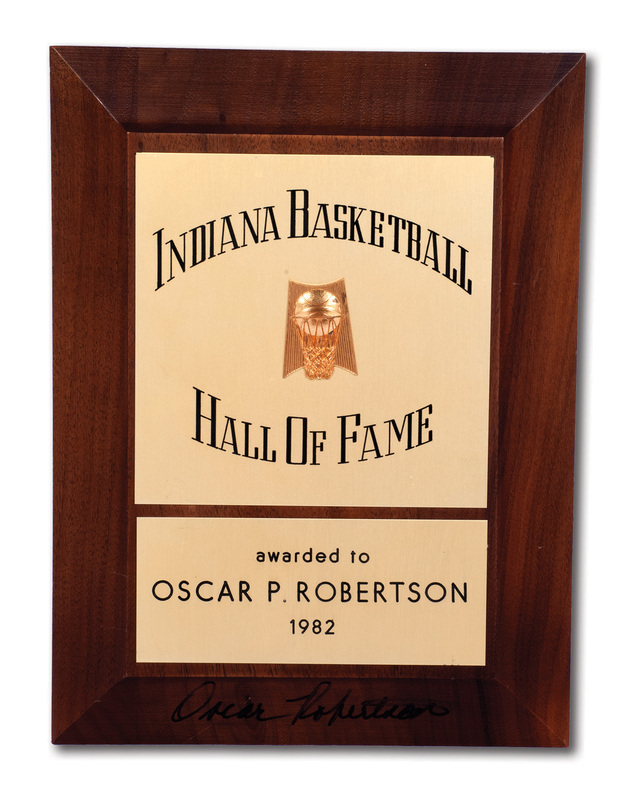 In 1982, Oscar was inducted into the Indiana High School Basketball Hall of Fame, and this is the award he received for this honor. The 9” x 12” wood-based plaque, which Robertson has autographed on the bottom in bold black marker, has two brass placards, one reading "INDIANA BASKETBALL HALL OF FAME" around a raised gold-washed hoop and the other naming its prestigious recipient. The one-and-a-half pound award shows light wear, honoring The Big O’s early days as a hopeful high schooler with the whole world ahead of him. Includes LOA from Oscar Robertson.